The Oh, Beehive Tin Canisters come in 2 sizes and feature adorable bees on the lid. 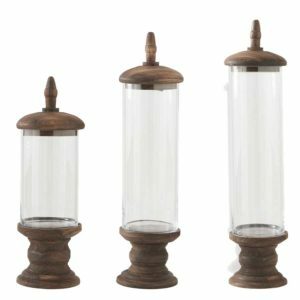 They are the perfect addition to any European Farmhouse, Rustic Abode or Eclectic Pad to store your bathroom items, kitchen ingredients or even jewelry. We love using them in our coffee corner with sugar and stir sticks and always get complements on them! Oh and honey, the best part about these galvanized tin canisters is that the price won’t sting a bit!